Ten Forest of Dean Athletic Club runners took part in the ‘Pipley Wood Mud Bath’ on Sunday the 29th of January, a 10km race organised by Relish Running which takes place in the Cotswolds north of Bath and, as the name suggests, is known primarily for the amount of mud involved. 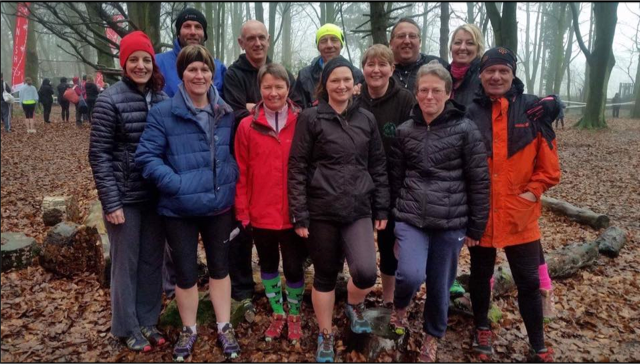 Whether by ‘dirty tricks’ or simply the fact that they are used to running in our own muddy Forest of Dean, the FODAC runners were able to come away with an impressive list of results. Four other FODAC runners: Deborah White and Claire Lavender, Sheralyn and Neville Turner also took part in the race and deserve mention for their display of sportsmanship when they temporarily abandoned their run to help an injured runner back to safety before carrying on to the finish.